We will be holding our Christmas Fair and we hope you can support this event after a successful event last year; where we raised over £1000! The Fair products for sale will be designed and made by the children and this year you will be able to buy your own child’s decoration. How will it all work? Friday 23rd November: Tag Day – Children to bring in tins of food or cans of drink for Tin Tombola, for example: tin of baked beans/soup, can of Fanta/sprite/cola etc. Friday 30th November: Tag Day – Children to bring in bottles for Tombola, for example: shampoo, conditioner, shower gel, perfume, fizzy drinks, wine etc. If you do not have any tins, cans or bottles to donate, £1 would be gratefully received for each tag day, payable on Parent Pay. 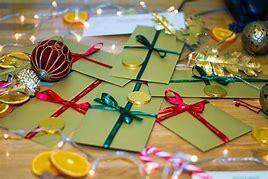 All funds received go towards activities and resources for your children in school. Your child will visit Father Christmas during the day. If you would like your child to receive a present from Father Christmas, £2 needs to be paid on Parent Pay by Friday 30th November. 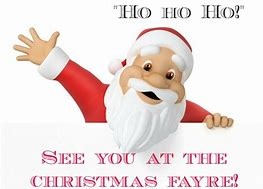 On Friday 7th December, the day of the fair, please collect your children from their normal exit points at 2.00pm. 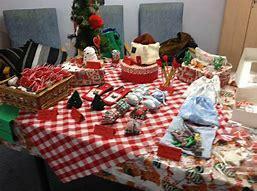 2.10pm – The Christmas Fair opens. 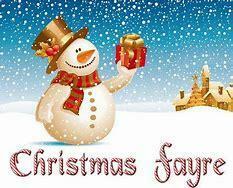 Everyone must enter the Christmas Fair by the front entrance of school and come through the office reception. There will be a buggy park outside Foundation Stage and Key Stage One classrooms, please use this space to leave your buggies whilst looking around the fair to avoid unnecessary hold ups. Our corridors are not very wide. We hope you can support this festive event.